Start with an unlucky number. Throw in a romantic location. Include a dashing Frenchman and an uncompromising professor. And you have all the ingredients for a passport to murder. This semester, it seems that Professor Prather's dreams are about to come true. Ever since she was a young girl, she's imagined going to France, and her French colleague, Andr Duman, has finally made that trip possible. Over spring break, she and Andr are to lead a group of students and faculty to Paris to explore the City of Light. But before she can utter her first bonjour, a professor dies, and they are stuck in Minneapolis. 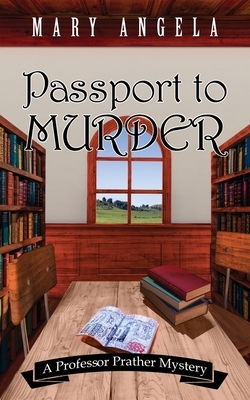 She returns to Copper Bluff with an unstamped passport and a mystery to solve. When Andr becomes the prime suspect, Emmeline puts her research skills to good use, determined to find out who really killed the professor and spoiled their spring break plans. With thirteen travelers assembled, the possibilities are varied and villainous. Luckily, her dear friend and sidekick, Lenny Jenkins, is close by. Together, they will sort through the conflicting clues even if it costs them time, trouble, or tenure. Book 2 in the Professor Prather Mystery series.